A $2.9 million cybersecurity, manufacturing and health information technologies U.S. Department of Labor job training grant has been awarded to SCCC. The grant will be used to train individuals by providing them with the skills and credentials required to meet the growth in cybersecurity, manufacturing and health information technology. Selden, NY - July 26, 2016 - A $2.9 million cybersecurity, manufacturing and health information technologies U.S. Department of Labor job training grant – the largest single grant in Suffolk County Community College history – has been awarded to the college, according to college President Dr. Shaun L. McKay. The college will collaborate with Suffolk County Workforce Development Board, New York State Department of Labor, Suffolk County Department of Labor and independent business, including Alken Industries, Inc.; GKN Aerospace, Inc.; Precipart, Inc.; Custom Computer Specialists, Inc. as well as business-related non-profit organizations, the Manufacturing Consortium of Long Island; Long Island STEM Hub and New York State Workforce Development Institute in executing the grant. The $2,949,237 Resources and Education that Support Training Opportunities within the Regional Economy (RESTORE) Grant, according to McKay, will be used to train individuals by providing them with the skills and credentials required to meet the growth in cybersecurity, manufacturing and health information technology. RESTORE is part of the federal government's national TechHire initiative that is funded by H1B visa fees and intended to train local workforces with the skills required by regional industry. “The RESTORE Grant will allow our college to focus new and additional resources on recognizing and empowering residents in our region with the education and training they need to develop new skills and earn higher wages,” said McKay. McKay explained that some workers may be just starting their careers, while others may be older workers who don’t have the basic skills to allow them to assume more responsibility and reach higher paying roles. Others could also be workers who may have the competencies, but not formal credentials, to excel at a more senior-level job. The RESTORE Grant will provide the resources for retraining individuals and upskilling to earn an associate’s degree and transfer to a baccalaureate program for expanded career options. Bootcamp training programs will be developed and students will prepare for online coursework while learning valuable industry and job readiness skills. McKay said the college envisions the RESTORE Grant providing training for about 350 students. College Connection: "...The Best Darn College Planner On Long Island!" 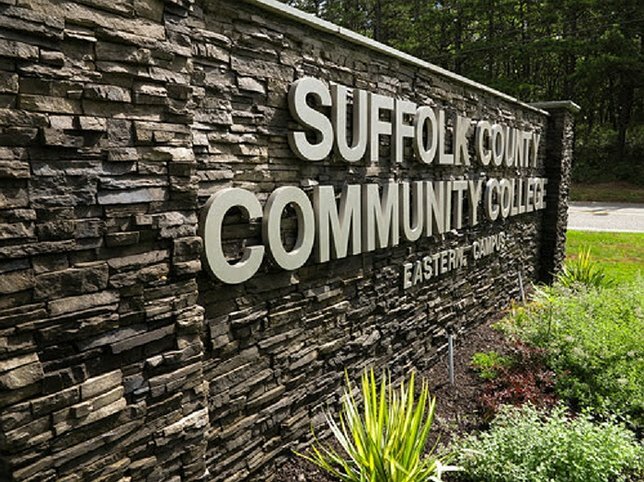 Subject: LongIsland.com - Your Name sent you Article details of "SCCC Awarded Nearly $3 Million Grant, Largest in College History"